Welcome to the Fairfield Inn & Suites Huntington. 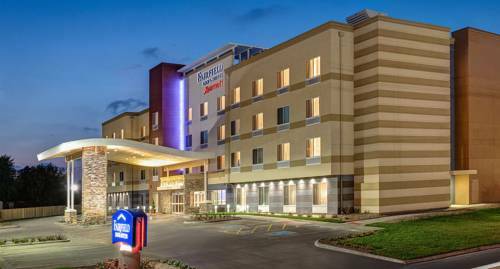 Our brand new hotel is conveniently located just off I-64 and offers easy access to the Marshall University campus, medical centers and many popular local attractions. Take a short five-minute drive into historic downtown Huntington where youll find many restaurants, beautiful parks and shopping centers. Our hotel is only 3 miles from Huntingtons Civic Arena, which hosts several concerts and events throughout the year. Come sit next to our fire pit and enjoy the amazing view overlooking the city of Huntington. WV's only automobile museum. Eclectic exhibit of cars; the owner gives personal tours when he's not busy in his auto parts shop. Ice cream shop resembling a half-buried river boat, with an actual towboat pilothouse, and the paddleboat wheel of a 1927 steamer. A sleek, glinting monument to a mythical creature with glowing eyes and an appetite for dogs.